Ruan Guy in UK Politics on 18 March, 2016. In all the recent fuss about the EU referendum, it is easy to forget the other major political decisions the country faces. 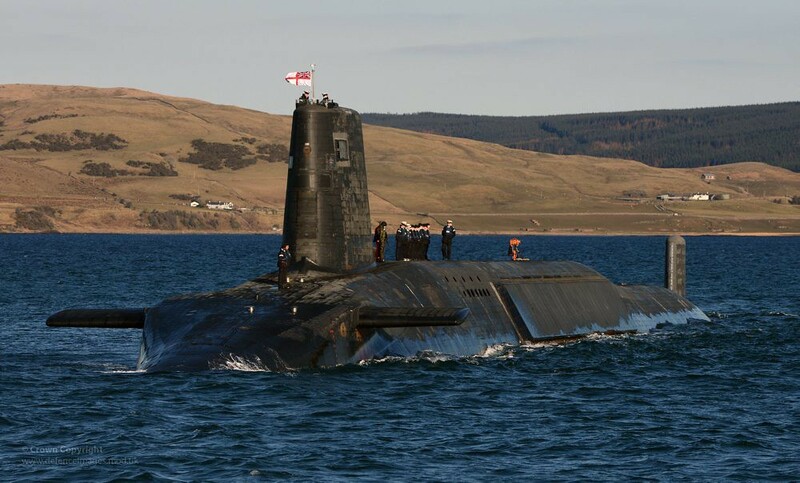 We don’t get a vote on it, but later this year MPs will likely choose whether or not to renew the UK’s Trident nuclear weapons system, a decision with profound consequences for the future of our national defence. They should vote yes. Trident is necessary given the uncertainty of the world we live in. Not only that, but giving up Trident would not be helpful in achieving a nuclear weapons-free future. Trident provides security in an uncertain world that’s far from secure. No, we are not currently at risk of a nuclear attack, but we cannot say that by the time the renewed system is active that we won’t be. It may be argued that spending tens of billions of pounds to counter a threat that may not necessarily materialise is not a good use of public money. This is an important point and one that ordinarily might end the argument if this were an ordinary threat; however, it is far from it. It is the threat of total annihilation and with the consequences so grave even the smallest possibility that there could be a risk should be examined. Who knows what the world will look like in thirty or forty years’ time? If we could answer with any degree of certainty about the presence of a nuclear threat then Trident wouldn’t be necessary; however, that’s not a prediction we are able to make. We did not expect 40 years ago that Iran, then one of the West’s closest allies in the region, would be chasing the Bomb after its 1979 revolution, or that the Soviet Union would be collapsing a decade later. The complex, ever-changing worlds of both domestic politics and international relations mean that we cannot be sure who our enemy could be in five years’ time, let alone during the lifetime of a renewed Trident system, nor what their nuclear capabilities could be. Even if we ignore the unknown unknowns – those threats that we cannot foresee or even begin to predict – the known unknowns are worrying enough. Of the current nuclear states, Russia is increasingly belligerent, Pakistan is seemingly permanently beset by political and military strife, and North Korea, while not yet in a position to strike the UK, is run by a ruthless despot with a desperate desire for power. It is not beyond the realm of possibility that events within these countries – where large and increasing sections of the population are anti-Western – could raise the nuclear threat level to one where we would need a credible deterrent. For that is what Trident should be exist as, a deterrent. Not to launch a pre-emptive strike, or to end a war in the manner of Hiroshima and Nagasaki. Trident is needed to make any country wanting to develop destructive nuclear weapons reconsider; to make a country already possessing that capability think twice about its use. Yes, the Mutually Assured Destruction of the Cold War may well have been mad, but in its own perverse way, it worked. We can all agree that it would be better were a deterrent not needed, but given that countries are still developing nuclear weapons and multi-lateral disarmament is not currently under realistic consideration, we must not rid ourselves of the one thing that might make any potential nuclear-armed enemies re-evaluate. There are those, however, who argue that even in the face of a credible nuclear threat, we should not possess nuclear weapons ourselves. That nuclear weapons are so inherently evil that to possess them even as a deterrent is wrong. This is a position with which I can sympathise, but which I do not believe we have the luxury of implementing given the realities of the world in which we live. Take a moment to imagine a world of unilateral disarmaments on moral grounds. By its very nature, this would mean those countries with moral concerns regarding their nuclear weapons – which I should hope would be all of them to one extent or another – to give them up. Extended logically, this would lead to a situation in which the only countries in the world with nuclear weapons would be those with no moral concerns about them. A world in which nuclear weapons are necessary could well be unconscionable, but a world where only those without a conscience have them would be very much worse. 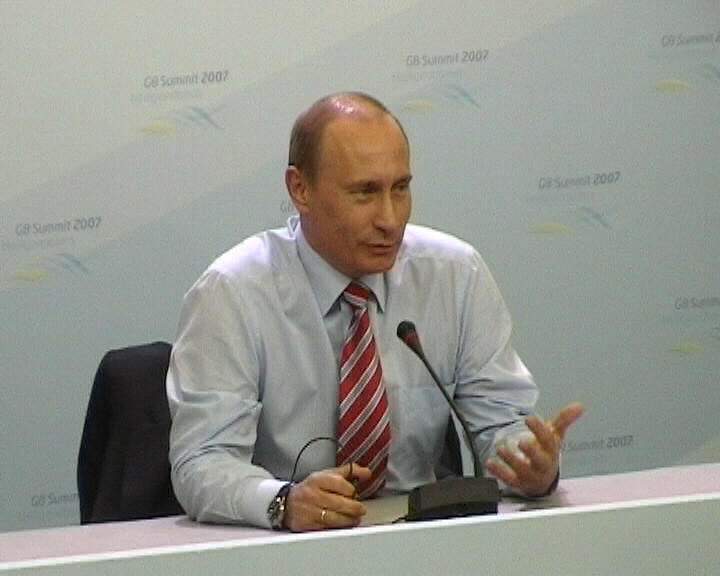 Obviously, it can be argued that of course all countries have moral concerns about nuclear weapons, that my imagined scenario is irrelevant and that the only reason countries still have nuclear weapons is for the same reason as I have been advocating: that each country believes they need a deterrent in an uncertain world. To which I respond that even if this were the case, giving up our nuclear weapons would do nothing to alter the thinking of those other countries while serving only to weaken us. Yes, we may be able to gloat of our moral superiority, or in a rather more British way, be quietly self-satisfied, but nuclear weapons would still exist. The only real effect would be that we wouldn’t be able to counter any potential threat. It would be the worst of all worlds. The only circumstances in which we would not need a deterrent is of course the one in which no-one needs a deterrent: no-one has nuclear weapons, multilateral disarmament. It also goes without saying that we would have more influence amongst the other nuclear weapons states when pushing for this if we were still part of the club. As tempting as it might be to try to lead from the front and unilaterally give up nuclear weapons, the moral high-road rarely leads to action when it comes to international politics. It is easier to change the rules of a club – or in this case dissolve it – from within. Unilaterally giving up nuclear weapons would be rather like the bassist of a band storming out because she disagrees with the message in some of the songs. She might feel good about herself but the band still plays, only now she has no say whatsoever in the message people hear. Renewing Trident and then calling for an end to nuclear weapons might smack of hypocrisy, but giving it up all together would ensure our irrelevance. So not only would not renewing Trident weaken us against any potential nuclear threat, it would weaken our influence in the call for future free of nuclear weapons. Multilateral disarmament may not be on the table right now, but if we leave that table we have no control over whether it will ever be there.